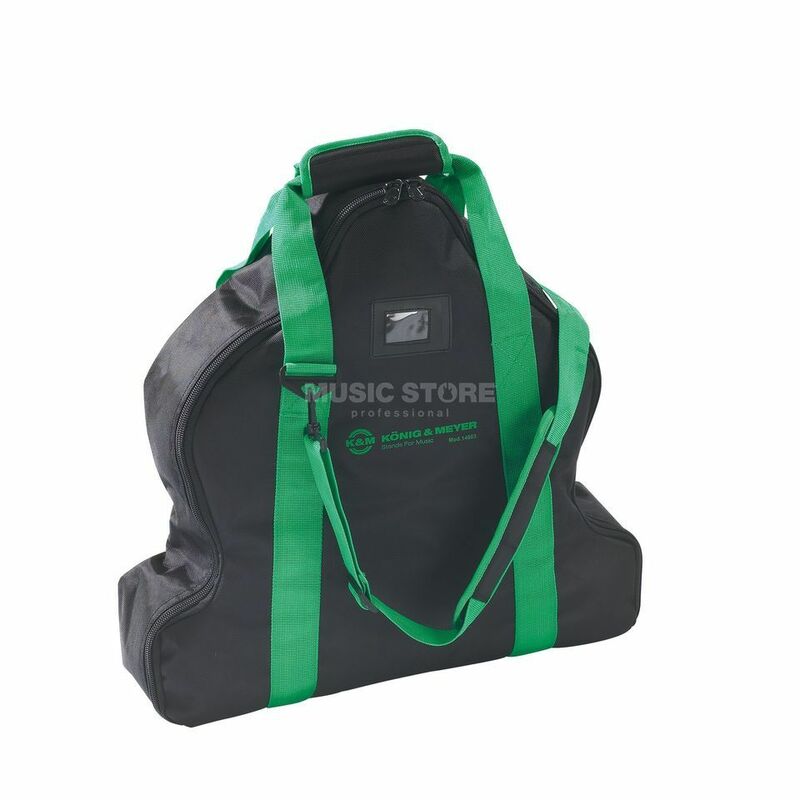 Sturdy carrying case for drum throne Gomezz 14000. Tearproof nylon material, water-resistant. The case comes with padded handles and an adjustable shoulder strap. Plastic rubber feet protect the bottom of the case. 2 internal compartments separate base from the seat.